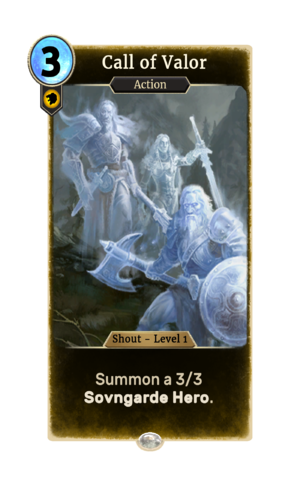 Call of Valor is a common Willpower action card. It is part of the Heroes of Skyrim expansion. Call of Valor is a Skyrim dragon shout which is rewarded on completion of the Main Quest.